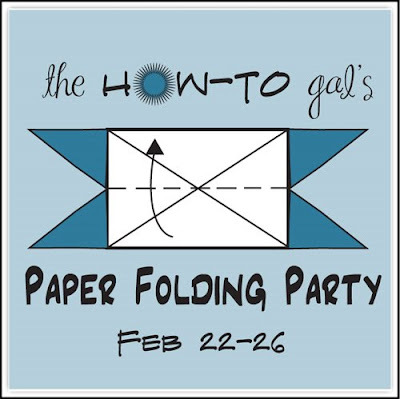 Today is the last day of the Paper Folding Party. Hasn't it been fun? 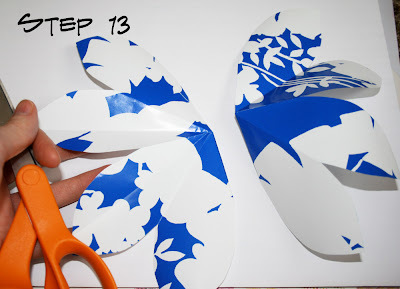 I have one more tutorial for you today, but make sure to scroll to the bottom of this post and enter in your own paper folding project! The only rule is that your linked project must be something you created out of paper. The linky party will be open until Monday, March 1st at 9:00am. Gather your paper and supplies. Fold your paper in half. 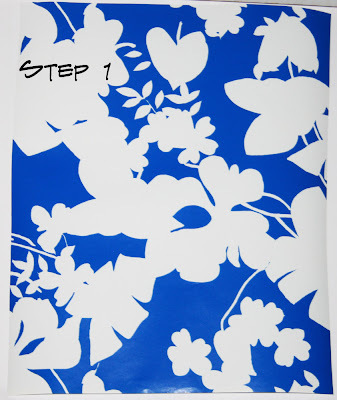 To get your bearings, place your paper in a portrait style position and fold the top to the bottom. Fold in half again. Same drill, fold the top to bottom. Now, find the corner that has two creased edges and turn it so it is in the bottom right corner. 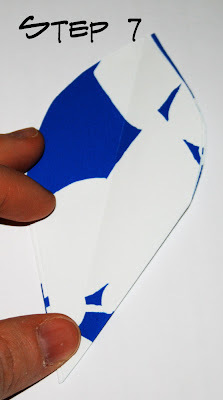 Fold this corner to the left side of the piece of paper. Take one of the flaps and fold back down to the right side. Cut your petal. Start on the right side and make a semi-circle cut up to the top. Open the flap up and mirror the first cut you made. This is what it should look like. It create what looks like a petal. Open up your petal and see how pretty! Make 9 more of these flowers. Helpful hint: To try and make all of my flowers matching, I didn't open up my first folded flower and used as a template while cutting the others. Take your base sheet of paper and fold in half. 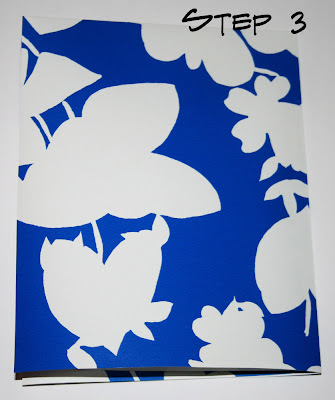 This will be the outside of your card. 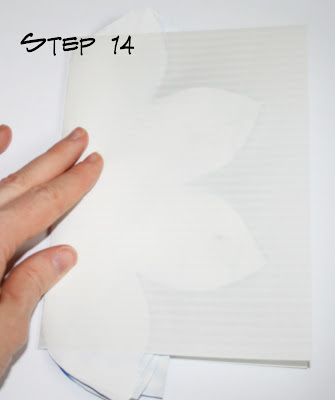 Attach your first flower to your folded paper with the middle folds matching. I attached using double sided tape because I hate the way glue makes paper bubble, but you can use what ever you like best! 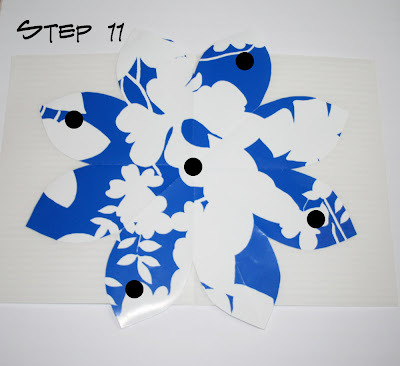 Place another flower on top of your first with tape or glue on the dots shown. 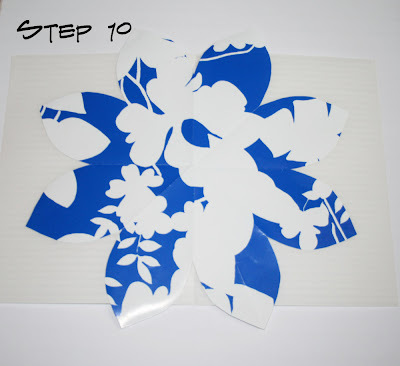 Next flower alternate your tape strips or glue dots. Continue with these two steps (11 and 12) until you reach your final flower. 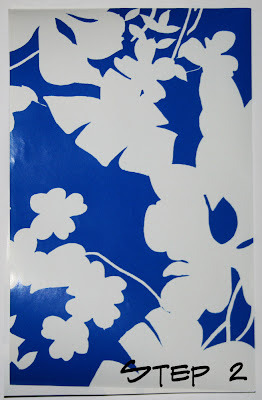 Helpful hint: Try to match up the folds of the flowers to make them all look uniform. Of course they won't be perfect, but you can clean up any overlap later. Cut your final flower in half, but still attach to the rest of the flowers in the same sequence. This step is what connects both sides and gives you the pop-out effect. 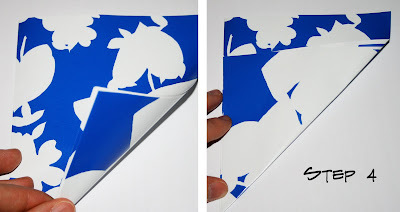 Fold the card in half, wait for it to dry if you used glue and open up! Here's another example of a card I made for my cousin's wedding! Aren't these just gorgeous?!? A selection of different flower cards and the other paper crafts I have shown this week should be in my Etsy shop (which is looking awfully sparse lately) later next week. I can't wait to see what you've all created this week! Link up, link back to this post for more ideas and spread the word! Whose wedding? Joyce? Sooo cool! Oh that is really cute. I love the paper you used. Such a lovely idea. 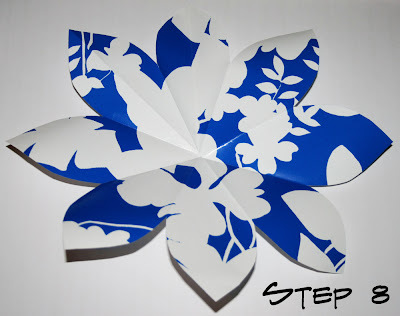 I have cut out hundreds of petals in my life, but had not thought of making a delightful 3D card with them! Very much inspiring... 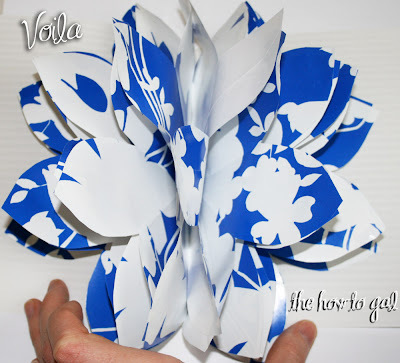 I will surely try hands on this papers.. Have you ever see the 3d pop up flower card . I found them on google, their website : http://popupcard.net. They have verry beautiful samples. I love them.